Over the weekend, a few friends and I dug into our beer fridges and hung out for an evening of good conversation and good sour beer. One of the beers that I was very excited to taste was Beatification by Russian River Brewing of Santa Rosa, California. 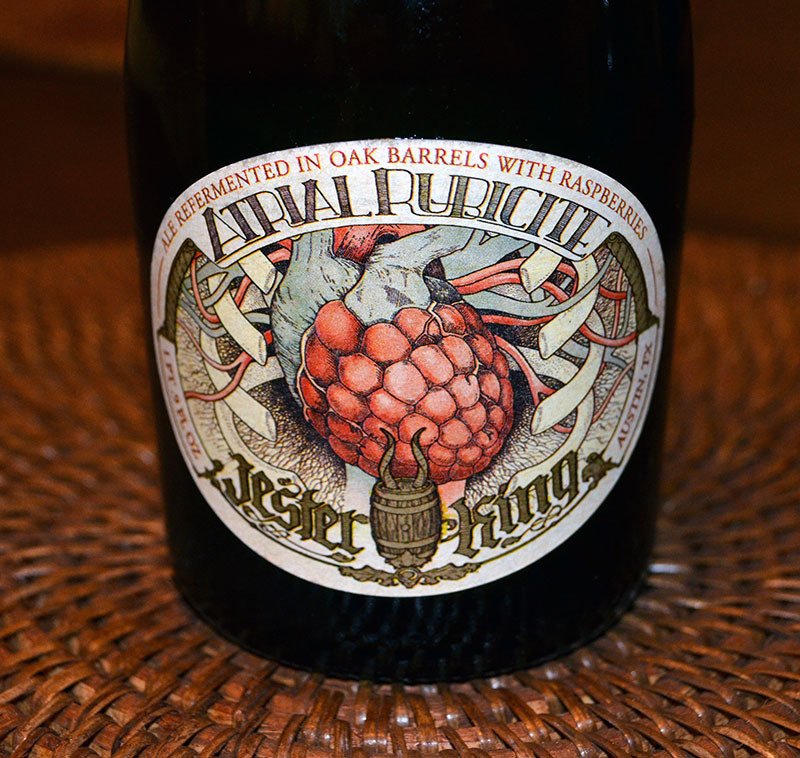 As we have discussed before in our reviews of Consecration and Temptation, Russian River was one of the first American breweries to consistently produce great sour beer, and they continue that trend of excellence to this day. 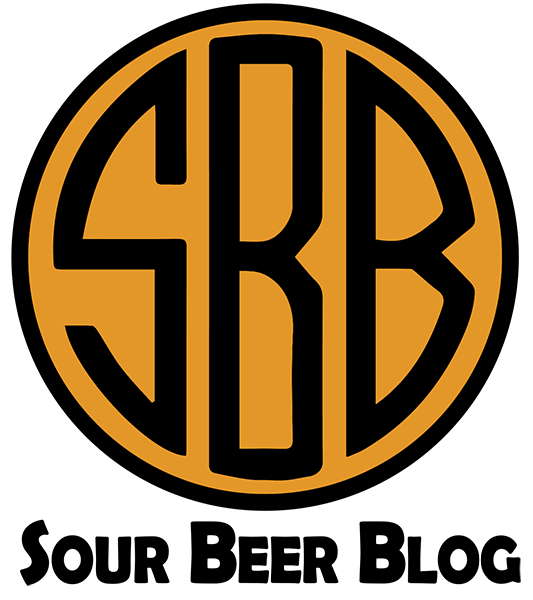 Beatification, referred to as a “Sonambic” by founder and head brewer Vinnie Cilurzo, is a spontaneously fermented golden blonde ale inoculated by airborne yeast and bacteria as the beer cools overnight in the brewery’s barrel room. 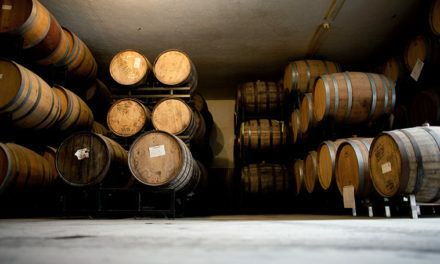 After inoculation, the beer is transferred into oak barrels where it will ferment and age for 8 to 24 months before being blended to produce Beatification. 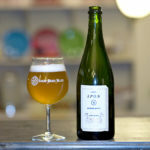 Spontaneous fermentation, the natural inoculation of a beer by wild airborne yeast and bacteria, is a process utilized in the production of the lambic beers of Belgium. 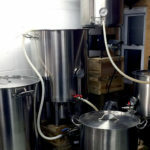 It was long thought that the area surrounding Brussels was potentially the only place on Earth that had the right mix of microorganisms to allow this process to actually produce good beer. 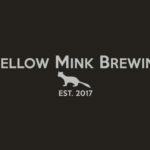 This assumption has been proved to be untrue by the successful use of spontaneous fermentation by several American breweries such as Russian River, Allagash, Jolly Pumpkin, and Jester King. 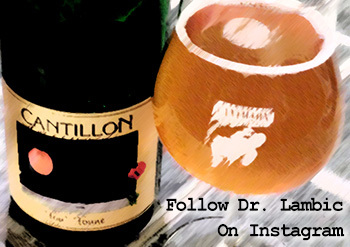 However, these breweries and many others will not use the term “lambic” to describe their products out of respect for the traditional brewers of Belgium. 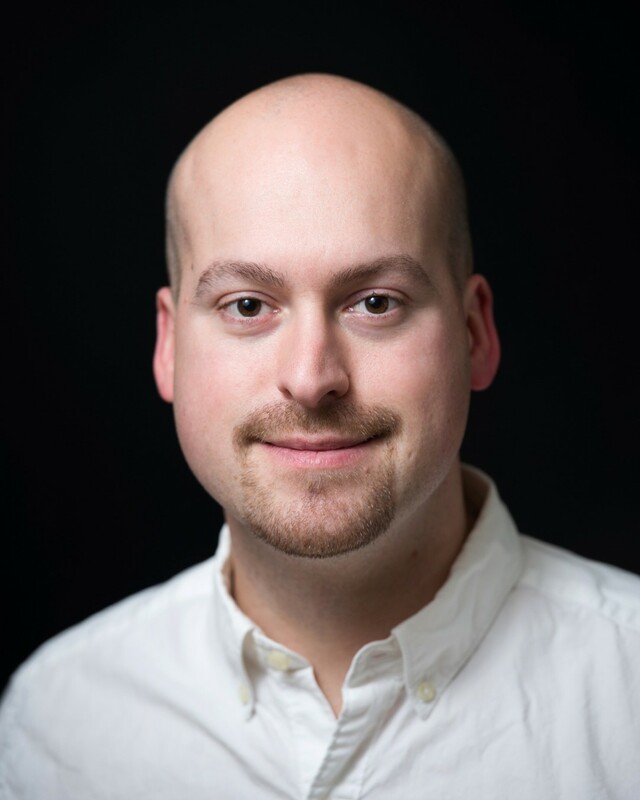 Vinnie Cilurzo’s term “Sonambic” is a combination of lambic and Russian River’s home county of Sonoma, California. 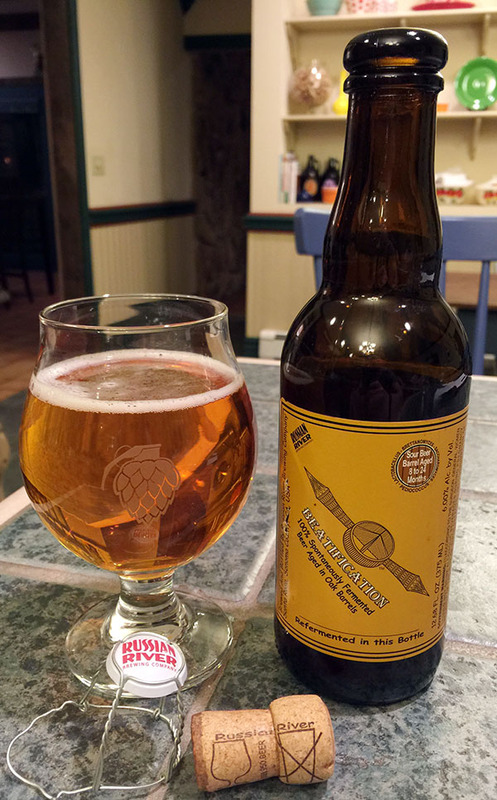 Beatification poured a clear golden yellow and formed a thin level of bright white head. The first aromas we picked up were those of lemon, tropical fruit, mango, and lactic yogurt. There was a borderline level of ethyl acetate in the aroma. This reminded us very much of a Hanssens Oude Gueuze. This fermentation byproduct gave the beer a nice pear-like fruity quality, but when we really focused on it, we could just begin to detect the aroma of nail polish that ethyl acetate takes on at a certain concentration. In general, the beer smelled very much like a classic gueuze, specifically Hanssens, but also had layers of tropical fruit more commonly associated with American sour beers with Brettanomyces (especially those of Crooked Stave). When tasting Beatification, we were greeted with a high level of puckering acidity. This strong souring, which was almost entirely composed of lactic acid, was sharpened by the slight presence of ethyl acetate but did not have any detectable vinegar (acetic acid) flavors. Once again, the beer reminded us a lot of Hanssens Oude Gueuze in the way that we perceived its acidity. 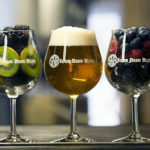 Mirroring the aroma, Beatification differentiated itself significantly from any classic gueuze with a diverse portfolio of tropical fruit flavors. These included pineapple, mango, lemons, and a low level of bitterness that we likened to pine-sap. The beer’s malt profile was very light which allowed the fermentation characteristics to be fully showcased. Likewise we couldn’t taste any specific hop flavors. 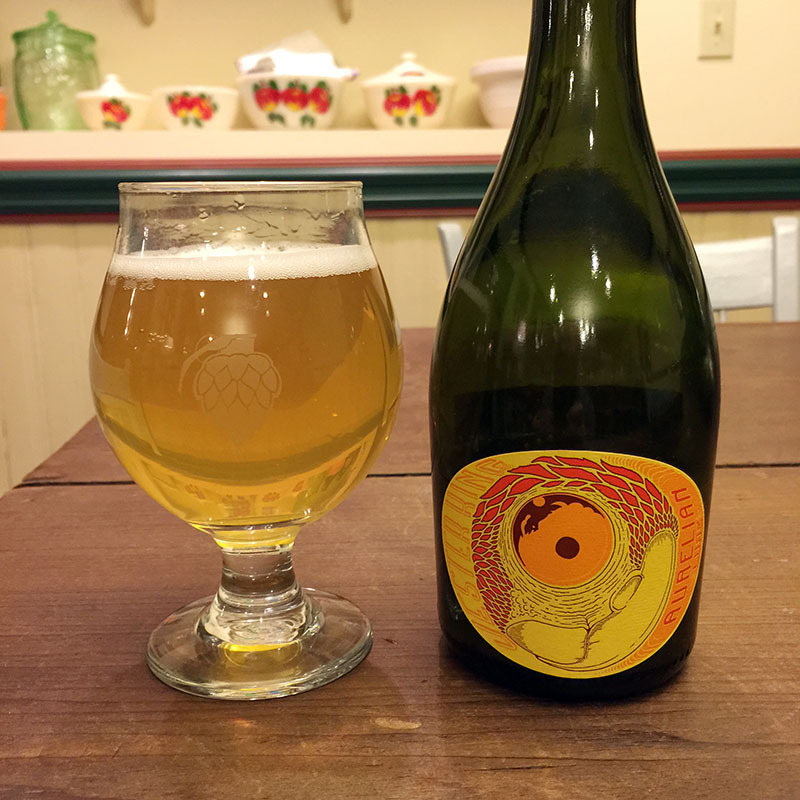 Beatification had a light body, medium carbonation, and a crisp refreshing finish. We couldn’t taste any notable off-flavors in the beer. In some styles, the ethyl acetate we picked up in this bottle of Beatification could be considered a flaw, but this aroma/flavor compound is a component of many classic gueuzes. In the low to borderline levels that we tasted in this beer, it boosted the complexity and depth of acidity without tasting like solvent. 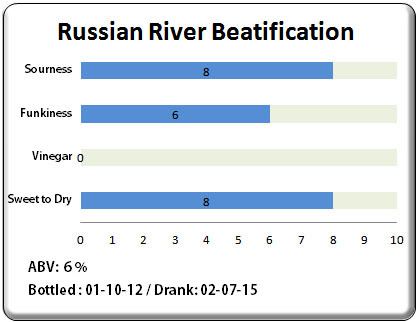 Overall, Russian River’s Beatification was a very tasty and impressive spontaneously fermented beer. 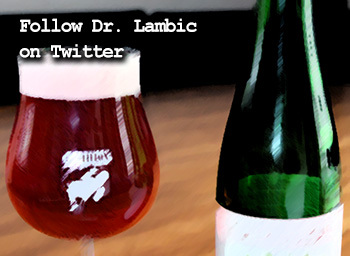 Lambic style gueuze may well embody one of the world’s most difficult flavor profiles to replicate. Despite this, I feel that Beatification does just that. 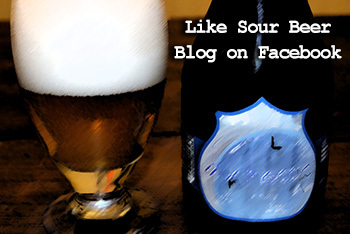 The beer’s acidity, body, mouthfeel, and complexity were spot on for the style. 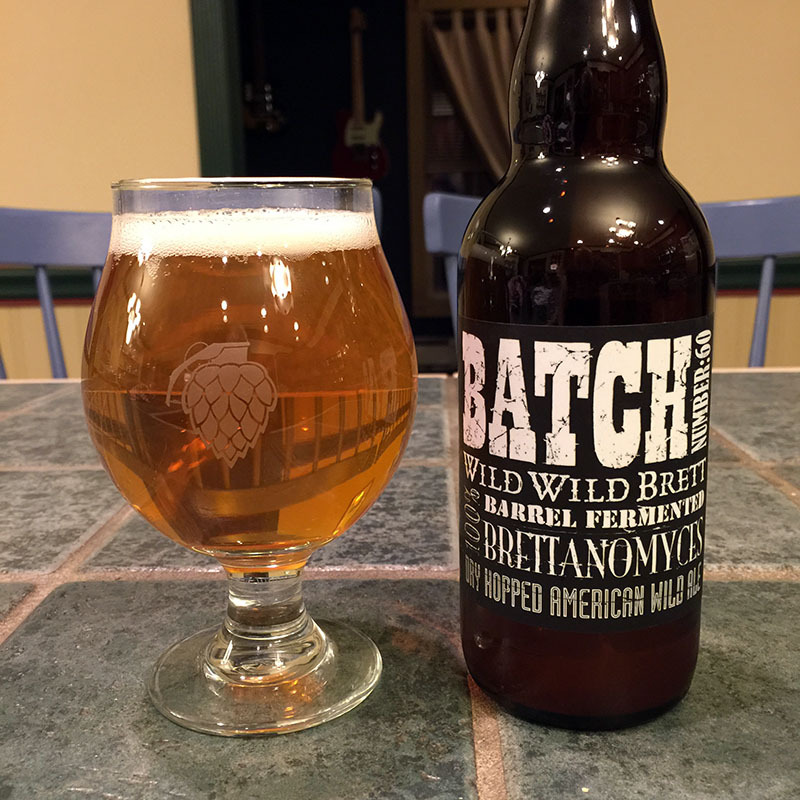 The specific blend of tropical and piney Brettanomyces characteristics differentiated Beatification from many Belgian examples that often tend toward a more earthy, leathery, and hay-like funk. These tropical fruit notes were appealing and gave the beer its own unique blend of aromas and flavors. If you get the chance to taste Beatification, don’t pass it up. I will certainly be looking forward to tasting more vintages of this delicious beer. You’re definitely right Derek, even in lambic brewing, many of the microbes that actually ferment the beer come from the barrels themselves. 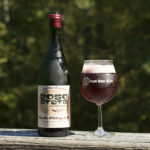 Even so, being exposed to the air likely contributes to some of the batch to batch variation seen with these beers and adds to the terroir of the blends. Cheers! How long would you say you can cellar BEatification before it’s too long? I have a batch 5 that is now 4 years old. Thanks. If you asked 10 different people this question you would likely get 10 different answers. Based on the few times I’ve drank this beer, I would be comfortable aging it up to 4 to 5 years, after that, I think you’ll find the acetic and ethyl acetate character to become too strong. Thank you, I will enjoy soon.